Blue whales, which are the largest creatures on Earth, rely on their memory of productive foraging sites in order to seek out prey. Why it matters: This insight, which comes from a new study in Proceedings of the National Academy of Sciences, helps explain how these oceanic behemoths can reach such massive sizes. It also identifies a vulnerability that could challenge the species as warming and acidifying waters cause fish to shift in abundance and range, making historical knowledge less useful to the emerging reality. What they did: Researchers examined 10 years of movement data for 60 blue whales, each of which was tracked via satellite tracking tags, in the California Current Ecosystem, as well as oceanographic conditions involving the emergence of waves of krill, a small, shrimp-like crustacean that serves as a key food source for blue whales. What they found: Researchers learned that whale migration more closely matches the 10-year average location of the spring green-up in this region compared to the contemporaneous conditions, which varied more significantly. 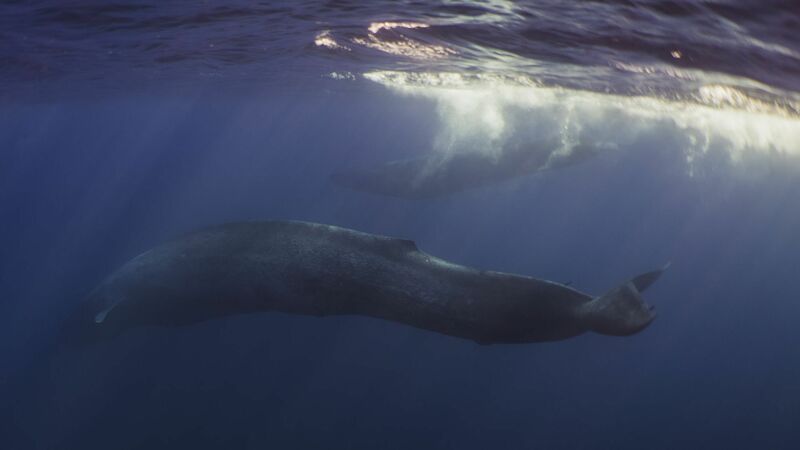 In other words, as blue whales migrate thousands of miles across the world's oceans, they seek out areas that are their historical best bets, as if consulting a self-taught guidebook to eating krill. "These long-lived, highly intelligent animals are making movement decisions based on their expectations of where and when food will be available during their migrations," says Briana Abrahms, a research ecologist with NOAA and lead author of the new study, in a press release. Why you'll hear about this again: Phenology, which is the study of life cycle events in the natural world, is already revealing sensitivities to climate change, with changes in the timing of flowering plants posing challenges for pollinators that arrive too early or late, for example. What we don't know: The new study leaves unanswered the question of what will happen to blue whale populations if warming and acidifying ocean waters from climate change cause food availability to change dramatically, making a history-based hunting strategy less effective. Japan announced Wednesday that it will be leaving the International Whale Commission so that it can resume commercial whale hunting for the first time in 30 years, the AP reports. The big picture: Previously, Japan had conducted whale hunting in the Southern Ocean as part of what it claimed was a research program, but environmentalists and officials from other nations criticized it as an illegitimate commercial hunt. Now the country's withdrawing from the IWC entirely. Chief Cabinet Secretary Yoshihide Suga, who said the organization is run by conservationists, said whale stocks have recovered enough to resume commercial hunts. Suga said commercial whaling will resume in July in Japanese territorial waters and economic zones only, leaving the controversial Antarctic waters alone.